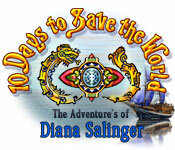 10 Days To Save the World: The Adventures of Diana Salinger is rated 2.5 out of 5 by 20. Rated 4 out of 5 by lnatowitz from Not AsBad As You May Think This is a simple hidden object game...not as bad as you may think it sounds, but a great game to use your free credits on or for someone just starting out. Rated 4 out of 5 by streamrdr from Fun Hidden Object Game I thought this was fun. The storyline could have been fleshed out more, and a sequel was obviously planned, but I haven't seen it. I thought the game was engaging and the puzzles simple but fun. Some of the hidden objects were hard to spot and I would have liked a faster hint refresh rate, but all in all I thoroughly enjoyed it and would buy a sequel if there was one. Rated 3 out of 5 by tholmes2 from Not bad, not great either though I didn't mind the game, but I won't be using a credit or paying for it either though. The graphics were not that great, quite poor really. 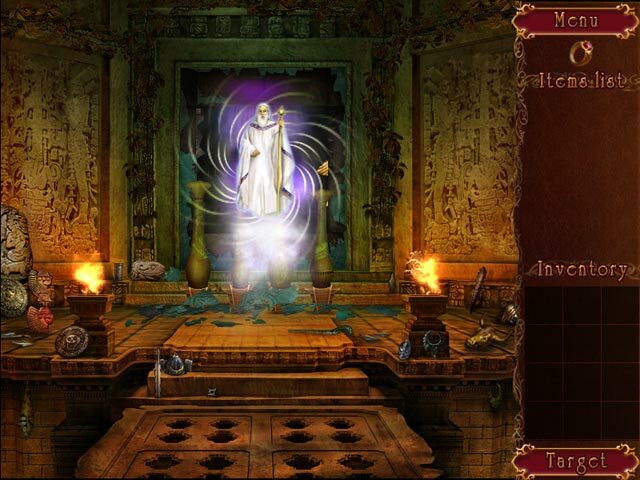 The hidden objects scenes were mostly quite easy, with a few hard to spot items. Puzzles were also quite easy. The story line was really quite bad, not really a story there.. And a very short game, I almost had it done by the time the demo was up. I think this would be an alright game for people just starting out on these types of games, or for people who want an easy game. Also would be alright for younger kids.. Not my thing.. Rated 3 out of 5 by mxiomayra from It's alright To be honest they could've added voice acting...It had little challenge I could find the items very quickly so very low challenge level the puzzles too were very little in challenge. 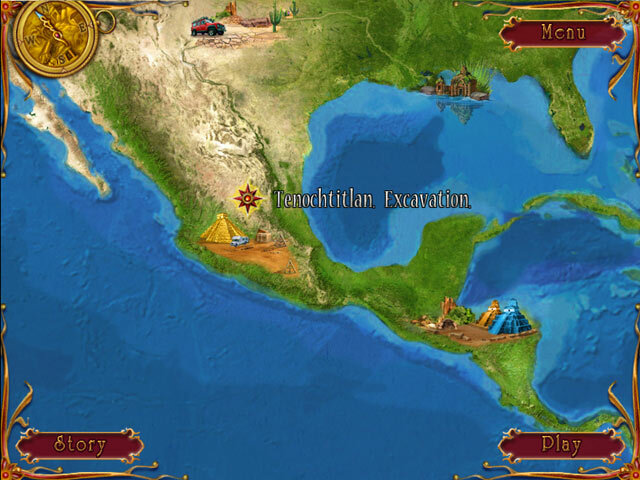 If you're looking for a hidden object game that's easy this is definitely the game for you. 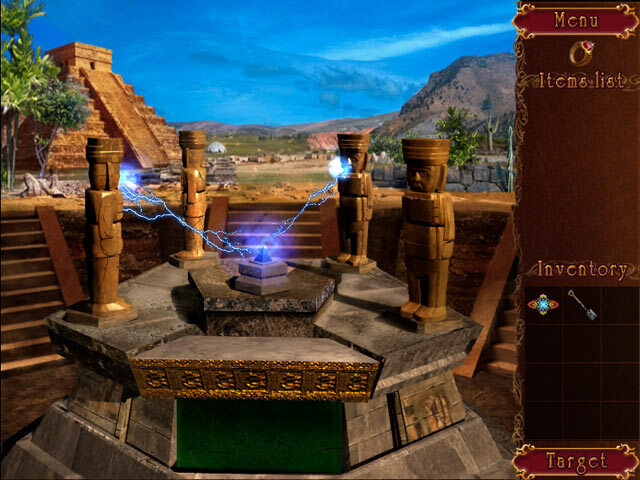 Rated 3 out of 5 by hermitcave from Had potential but fell short A hidden object adventure game in which you start out looking for your father but wind traveling to various places to find out why there are disasters occurring. You discover a link to Atlantis and that you must save the world. What happened to your father? No idea. Who is the man with you and why is he reporting to some unknown person? No idea. The story has a lot of gaps but moves along fairly fast with many "find puzzle pieces: or idols or set up camp, etc where you find and use items to complete tasks. There is a very basic task journel that just gives the main task such as open the gate but no other guidance. All of the puzzles are easy and fairly easy to figue out what to do as there are no instructions most of the time. The hidden objects are sometimes colored the same as the background making them hard to find. The hint ring has a long refresh rate. The overall game play was good with acceptable graphics (except for some of the HOS) and there are no voiceovers. All information is provided by dialogue strips that usually give you enough time to read before changing. The music was just there. Recommended for those just starting HO games or just if you want something less taxing. Rated 3 out of 5 by jmcbeauty from Demo only Didn't enjoy this hog. The items were difficult to see and find. The watercolor pictures were nice. I got bored very quickly and didn't make it through the first ten minutes of game. Didn't hold my interest very long. Rated 3 out of 5 by VCUmom from Short Hidden Object Game The game is okay. It didn't take very long to finish. Standard hidden object game. Rated 3 out of 5 by pses from different hidden object adventure game This hidden object adventure game is different from many out there. Interesting and exciting storyline, however, there are considerable gaps in the story that make it unclear why a decision was made, how they happened to get from this situation to that. The puzzles are good, some hidden objects are a little difficult to find because dark, but makes it fun - more challenging. Artwork is unique - not the usual super graphics or cartoon-look; these panels were hand drawn, hand colored, and watercolor painted; refreshing. Rated 2 out of 5 by 454lucy from Too dark Scenes are too dark to find the objects. Clues are hard to find. Hint takes too long to refresh. Story line is same old same old but rather boring. Really sorry I bought this game. If I could get my money back I would.